The Scopes simplicity is what catches the eye. Not only the design is clean and contemporary, but the simplicity also lies in the usage and maintenance. It is possible, for example. To load wood via the front door without any smoke nuisance, thanks to a specially designed smoke flap. However, loading logs is also possible via the discreetly concealed side for. 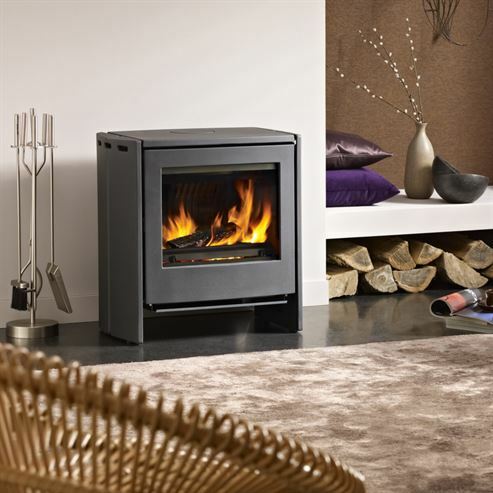 In addition, the stove can handle big logs, so you need to supply less frequently.